Unicorns are a big hit with children currently, and this means that unicorn themed parties are on the rise. But how exactly do you plan a party around a unicorn theme? And what can you do to make it magical and memorable? Well, Mr Stix is an award winning children’s entertainer with a wealth of experience. He brings fun and laughter to children’s parties and events across the North West, from Manchester to Preston. As a result, he has produced this guide to unicorn themed children’s party ideas. 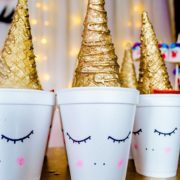 Decorations- unicorn themed parties need a lot of glitter, sparkle, and of course unicorns. From cardboard cut outs to table decorations, unicorns can be used throughout your venue to bring fun and sparkle to your event. Why not opt for a unicorn pinata, cups, plates and bowls, as well as balloons and banners! Unicorn themed food- unicorn themed food can be a big for youngsters. From finger sandwiches to pizzas, all of your party food can be modified to fit a unicorn theme. And you can even get your little one involved in making some unicorn treats at home, in the days before the big party. Activities- unicorn themed activities can be physical and active, like team games and challenges, or you can use more traditional party games. Pin the horn on the unicorn for example can be a good choice for younger children, while older children might enjoy a unicorn ring toss team game. Entertainment- even a unicorn party will need some entertainment. Music, comedy, dancing and games are just some of the things that Mr Stix can bring to your unicorn themed children’s party. And with a range of experience and techniques, Mr stix can keep your young guests happy and engaged throughout the party. For more information or to book professional children’s entertainment, get in touch with Mr Stix today. 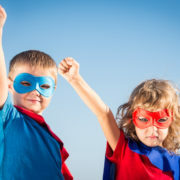 A superhero party is one of the most common party options for children. From Marvel to DC girls and boys both love the superhero universe. After all, who doesn’t want to save the world! Well, if saving your superhero party feels like too much to handle, don’t fear. Mr Stix is a professional children’s entertainer with years of experience. And a superhero parties is one of his favourite party themes. As a result, he has produced this guide to the key features of every superhero party. Costumes-Who doesn’t want to dress up as their favourite superhero? Well, for a superhero party, its kind of essential. Make sure that you clearly state the theme and need for a costume on the invitations. So all your guests have plenty of time to prepare. After all, it’s not a superhero party without the superheros themselves! Decorations- from giant cardboard cut outs, to table decorations, banners and balloons, a superhero party should use a range of decorations to really get the guests excited about the party and to set the tone for your event. Games and activities- superheros tend to be quite active, and they like a challenge. So why not set challenges or team games for your little heroes? From dancing contests to age appropriate party games, keeping the young guests entertained is a must. In fact, why not hire a professional children’s entertainer, like Mr Stix, to provide all the fun and laughter your event needs? Mr Stix can offer a range of party packages, that can be tailored to suit your theme. Including superheroes. And he can also make sure that your child becomes the star of the show. What better way to make your child’s day magical? For more information or to book, get in touch with Mr Stix today. 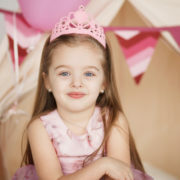 For a lot of young girls and boys a Princess party is the perfect party choice for their birthday theme. From traditional tales, to Disney Princesses, there are a range of role models to choose from. And who doesn’t want to dress up as their favourite character, play party games with all their friends, and eat birthday cake? Exactly! Mr Stix is an award winning children’s entertainer who brings fun and laughter to children’s parties across the North West. This includes Princess parties. As a result, he has produced this guide to planning the perfect Princess party. Decorations- Princess parties are some of the easiest parties to prepare for, thanks to the amount of party products available that are Princess themed. You will need to decide if your party is general Princess themed, or Disney Princess themed, so then you can choose decorations that match throughout your venue. From party plates and napkins, to posters, cardboard cutouts and even the invitations, you can choose decorations to match your theme. Glitter is great- Princesses, wouldn’t be Princesses, without all that sparkle and glam. Glitter tattoos and glittery face paint can really make your party shine. And throwing in some glittery decorations is also a great idea. Food- You can even theme your party food to match the Princess theme with cake toppers, pink sandwiches, and snacks fit for royalty. Why not cut your sandwiches and cookies into crown shapes, or make themed pizzas? Games and activities- but how will you keep your Princesses busy? Well, from disco games and dancing Queens, to arts and crafts or even team games, there are a lot of options for the modern Princess. Why not hire a professional entertainer to keep them involved and engaged, laughing throughout your party? Get in touch with Mr Stix today, to find out more about children’s birthday party entertainment options. With Christmas over, lots of children born in January and February still have something to look forward to: their birthday party! But not everyone is excited to have a winter birthday. Dark afternoons, bad weather and cold temperatures can put a dampener on things. So if you want to make sure your child has a fantastic winter birthday, take a look at some of these children’s winter party ideas. Mr Stix is an award winning children’s entertainer who provides fun and laughter to children’s parties across the North West, from Frodsham to Lancashire. And he knows all there is to know about winter birthday parties. Indoor sports- you can turn your indoor centre into a football zone, or a hockey area, ten pin bowling or even tennis courts. There is a lot you can do inside a hall to get the children active and playing, and this can be perfect for active children that love sports. But you probably wont be able to do this in a pub function room, and it probably wont suit all children. Arts and crafts- arts and crafts can be a great way for children to relax together and work together to make something. Big art projects that involve all the children are the best idea and can include paper-mache, collage making, or even painting. Again this depend on what type of venue you hire. Professional entertainer- you could hire a professional children’s entertainer for games, comedy and a whole lot of fun. This is perfect for all children, of any age to get involved with, and can make your day magical. For more information or advice, or to book for your winter birthday event, get in touch with Mr Stix today. So now we have looked back at the popular trends of 2018, it’s time to consider what the future has in store. While we can’t predict the future as a whole, Mr Stix has a great understanding of children’s parties and events, as well as insider knowledge. And this is his guide to the predicted children’s party trends for 2019. Yep it’s true! While unicorns have been stealing the show all year, next year it’s time to think about a real life wonder. The Llama. At least you can take your children to see this one! Llamas will be big in 2019, from clothing to homeware, and a lot of this will be aimed at children. So if you want to keep up to date with party trends, 2019 will be all about the Llama. Disney has a lot to answer for when it comes to leaving parents penniless and children overexcited. And 2019 is due to see the release of the new adaptation of Dumbo. With the Netflix movie Mowgli just recently released too, it’s likely that the jungle theme will last throughout the year. Just as you thought Frozen fever was over, they are now releasing Frozen 2! Due to hit cinemas in 2019, it’s bound to be packed with memorable songs and characters that your children will fall in love with all over again. Like we said, Disney has a lot to answer for! So for 2019, Frozen parties may well be high on the agenda. For more information or advice, get in touch with Mr Stix today. With 2019 fast approaching, it’s the perfect time to take a look back at 2018 and everything that made it stand out. In terms of children’s parties, there were a whole host of themes and trends for children’s parties this year. But what were the most popular children’s party trends of the year? Well, as an award winning children’s entertainer, Mr Stix is one of the leading experts when it comes to children’s parties and events. And this is his guide to the most poplar children’s party trends of 2018. Slime was a big hit this year with children creating their own slime and goo to play with. Just think of all those budding chemists! While its certainly educational to create your own slime, slime parties also tended to be very messy. From slimeball fights, to slime sculpting, slime would usually end up everywhere. And the children loved it! Unicorns were also a huge children’s trend this year. And this made it fairly easy for frazzled parents to plan parties based on this theme. From cardboard unicorns to unicorn bunting, unicorns have been available everywhere! Another of the Most poplar children’s party trends of 2018 was the emoji party. This is a party themed around those little yellow faces you send in texts and online. Fueled by the emoji movie, and the presence of emoji’s everywhere, this quickly became a success for children’s parties. Perfect for both boys and girls, emoji parties were great for games and activities for children of all ages too. To book professional entertainment for your next children’s party, get in touch with Mr Stix today. Christmas is just a matter of days away. And it seems everyone is getting in the festive spirit. 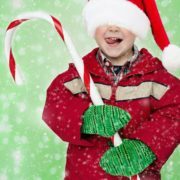 If you’re planning a children’s Christmas party, or an event, you might be wondering how you can be sure of success. The Christmas period, up until New Year is incredibly hectic and chaotic after all. But Mr Stix is an award winning children’s entertainer, providing professional entertainment for children’s parties and events across the North West, including Lancashire, Merseyside, and Manchester. And he has produced this guide to the steps to success for any children’s Christmas party. Sending invitations- if your event is invitation only, you really need to give out the invitations with plenty of notice. Around 1 to 2 weeks if possible. While that rules out parties before Christmas, there’s still time for those after the big day. And if you want your event to be well attended, you need to make sure you dish out those important invitations as soon as possible! Otherwise your guests may well have other plans. 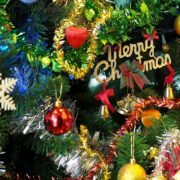 Dig out the decorations-For a quality Christmas party, you need good Christmas decorations to decorate the space and set the tone for the event. Children love the magical decorations, so make sure you capture that feeling of awe. For a Christmas party, you might consider a small tree, hanging tinsel and other decorations, and even some fake gift boxes. Professional entertainment- make your event magical and memorable with professional entertainment, from a leading children’s entertainer. For more information or advice about hosting a children’s Christmas party, get in touch with Mr Stix today! 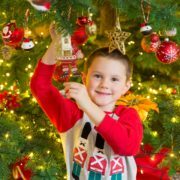 Are you planning an event for children over the Christmas period? If so there are lots of activities and decisions to make.  For example, do you want to plan an active event full of games and action, or a children’s disco? If not, why not try a calmer, quieter approach with arts and crafts? Christmas and New Year themed arts and crafts activities can help keep your young guests calm and concentrating. 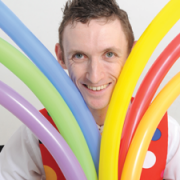 As an award winning children’s entertainer, Mr Stix has performed at all manner of events and parties, including arts and craft based children’s events. So, what kind of arts and crafts could be suitable? Well, this is our guide to arts and crafts activities for Christmas events. paper chains- a traditional decoration, paper chains can be a great way to get children attending your event to work together and get to know each other. They are also simple enough to make so children of all abilities can join in. paper plate Christmas trees- one of the biggest symbols of Christmas is the tree. And children can make an effective Christmas tree using only a paper plate and some imagination. The first thing they will need to do is paint the tree green, so be prepared for some mess! paper plate snowman- is there anything you cant make with a paper plate? Well, not only can you transform this into a Christmas tree, but a paper plate can also become a charming snowman too! For more information or for professional children’s entertainment for your Christmas event, get in touch with Mr Stix today. With Christmas events currently taking place, and the big event itself in just under 2 weeks, now is a great time to consider how to keep your young guests entertained. Especially if you have a bunch of very active children on your hands. How can you make sure your event really keeps them entertained and engaged for the whole time? Well, Mr Stix is an award winning children’s entertainer, with professional experience in a range of settings, with a variety of children. From toddlers to teenagers, Mr Stix is the perfect choice for your Christmas entertainment success. And these are his tips for Hosting a Christmas event for active children. Plan a disco- discos are a great chance for all children to let off steam and enjoy themselves. And for active children, they will have the opportunity to run around and use up some energy. If you need to keep your guests engaged, why not organise dancing competitions to make the party more structured? Games and activities- these are a must for active children. Active children also tend to get bored easily, which means that some adult led games and activities will be very important. Why not try a treasure hunt activity where the children work in teams to follow the clues, and find the Christmas gift? Or some team games that involve communication and teamwork? To book professional children’s entertainment for your event, get in touch with Mr Stix today! 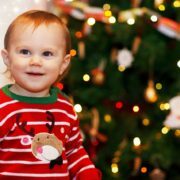 When it comes to Christmas, younger children are still excited and captivated by the magic of Christmas. For a lot of older children, over the age of 8, the magic has started to wear thin. So how do you get these children interested and enthusiastic about your Christmas event. Well, Mr Stix is an award winning children’s entertainer, with a wealth of experience entertaining children of all different ages. This includes older children. And these are his tips for planning a Christmas party for older children. Hiring a professional children’s entertainer- trained and experienced, a professional childrens entertainer will be able to read a room, and deliver results based on the responses of the audience. Instead of just sticking to script, a professional entertainer will be flexible and adaptable to keep older children guessing, and involved, throughout the show. Keep things age appropriate- dont try and bring the level of the party down by inviting Santa or following more childish traditions. Older children feel more grown up than youngsters, and they want to be treated as such. Games and fun- keep the children active throughout the event. Bored children are more likely to cause disruptions and get into trouble, and the best way to keep them entertained, is to keep them active. Games and activities can be a great option for children of this age. Why not try Winter Olympics style team games, with fun games the children can compete against each other with? Disco- another great idea for children of this age is to host a Christmas disco. This gives the children just a little bit more independence to talk to each other, and dance to their favourite music. Combine this with quality entertainment, and fun games, and your childrens party will be incredibly successful. For more information or to book professional entertainment, get in touch with Mr Stix today.